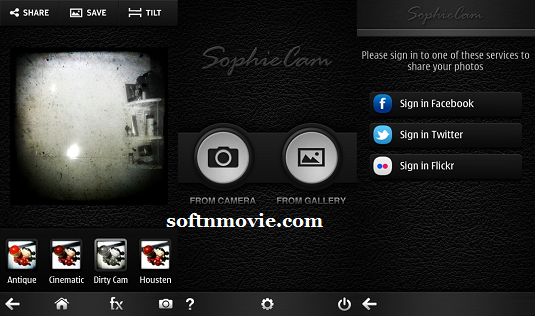 Sophie Cam is a brilliant app tohave on your phone. Take a snapshot, add some punch to it by applying an effect. Choose from a variety of quality filters such as Roid, Housten, Dirty Cam and more through a sleek and user-friendly interface. The latest update brings you 5 new filters and an option to apply a tilt shift effect to your photo. You can also add filters to the existing photos in your gallery. Don’t forget to share your great moments with your friends via Facebook or Flickr!